Cavities often cause tooth pain, and you get cavities from bacteria in the mouth that are thriving on sugary and starchy foods that cling to teeth and gums. The bacteria produce acids that damage your teeth, and when the damage reaches a nerve, misery sets in. But there can be other causes as well- filling that’s come loose, a cracked tooth, an abscess (a pocket of infection at the gum line), or a sinus condition.Any infection that reaches the root is sure to cause pain. Toothaches range from throbbing to excruciating, but with a good dentist as your ally, the pain should be short-lived. If you can’t get an appointment right away, you canstop at the pharmacy for a pain-relieving gel.For general pain relief, you can also take aspirin or acetaminophen (Tylenol). And try the following approaches. • Dab someclove oildirectly on your bad tooth. Clove oil has remarkable bacteria-slaying properties-and it also has a numbing effect, which is why it’s a longtime folk remedy for toothache. Today we know that this extract from the clove bud contains eugenol, which acts as a local anesthetic. The oil may sting at first, but then blissful relief sets in. • You can get the same numbing effect fromwhole cloves. Put a few in your mouth, let them moisten until they soften, bruise them a bit between your non-hurting molars to release their oil, then hold the softened cloves against your painful tooth for up to half an hour. • If you don’t have any cloves, make apaste of powdered ginger and red (cayenne) pepper. Pour the powdered ingredients in the bottom of a cup, then add a drop or two of water to make the paste. Roll a small ball of cotton into enough paste to saturate it, and place it on your painful tooth. (This can irritate the gums, so keep the cotton on the tooth.) In addition to using the spices together, you can try them separately. Either one can help relieve tooth pain. • Rinse your mouth with atincture of myrrh. The astringent effects help with inflammation, and myrrh offers the added benefit of killing bacteria. Simmer 1 teaspoon of powdered myrrh in 2 cups water for 30 minutes. Strain and let cool. Rinse with 1 teaspoon of the solution in a half-cup water five to six times a day. 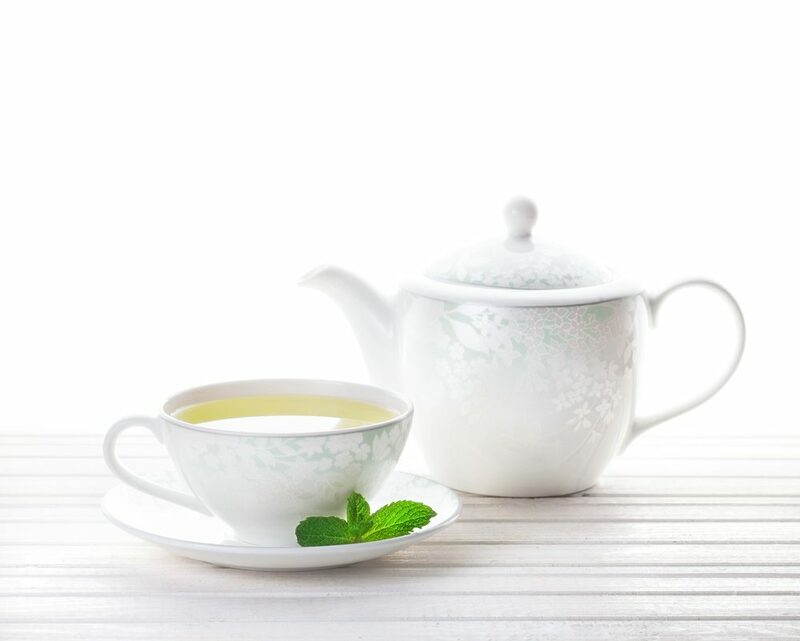 •Peppermint teahas a nice flavour and some numbing power. Put 1 teaspoon dried peppermint leaves in 1 cup boiling water and steep for 20 minutes. After the tea cools, swish it around in your mouth, then spit it out or swallow. Repeat as often as needed. • To help kill bacteria and relieve some discomfort, swish with a mouthful of3% hydrogen peroxide solution. This can provide temporary relief if the toothache is accompanied by fever and a foul taste in the mouth (both are signs of infection), but like other toothache remedies, it’s only a stopgap measure until you see your dentist and get the source of infection cleared up. A hydrogen peroxide solution is only for rinsing. Spit it out, then rinse several times with plain water. • Stir a teaspoon ofsaltinto a glass of warm water and rinse for up to 30 seconds before you spit it out. Salt water cleanses the area around the tooth and draws out some of the fluid that causes swelling. Repeat this treatment as often as needed. • Place a smallice cubein a plastic bag, wrap a thin cloth around the bag, and apply it to the aching tooth for about 15 minutes to numb the nerves. Alternatively, that ice pack can go on your cheek, over the painful tooth. • A warm, wettea bagis a standard folk remedy for toothache that’s worth a try. Black tea contains astringent tannins, which may reduce swelling and give you temporary relief. • Use atoothpaste that’s designated ‘for sensitive teeth.’ If you have a problem with shrinking gums, this could relieve a lot of the pain you probably experience from hot or cold foods. When gums shrink, the dentin beneath your teeth’s enamel surface is exposed, and this material is particularly sensitive. • Switch to thesoftest-bristled brush you can findto help preserve gum tissue and prevent further shrinking. • If you’ve broken a tooth or have lost a filling, you can relieve some pain by covering the exposed area withsoftened chewing gum. This might work with a loose filling, too, to hold it in place until you can get to the dentist. To avoid further discomfort, avoid chewing anything with that tooth until you can have it repaired. Whatever else you do,make an appointment to see your dentist. These home remedies can provide temporary relief, but your dentist needs to do some exploration and find out what’s causing this toothache. Odds are, you have a problem that requires treatment. If you don’t find out what’s causing the ache, it will only get worse. Gassy All The Time? Here Is Why.